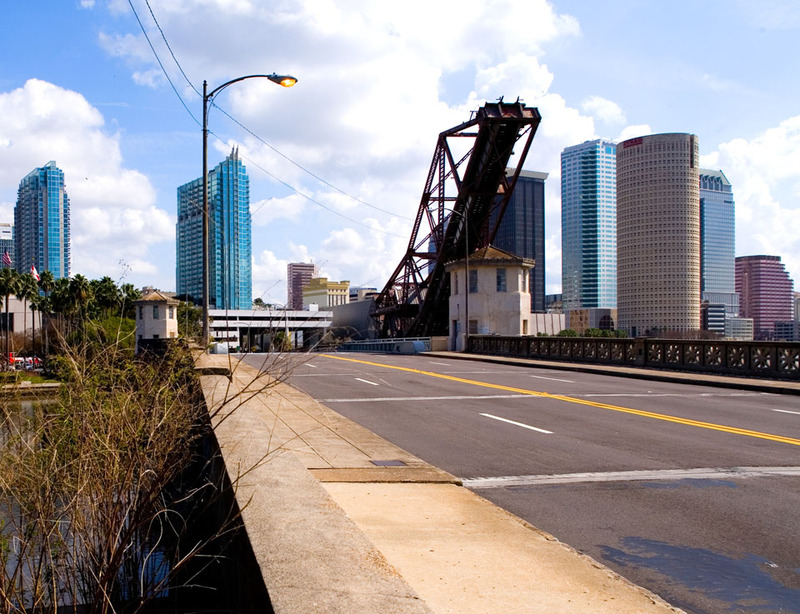 This photo is of the Cass Street Bridge looking east toward downtown. Notice that the railing and the sidewalk on the bridge appear to be the same. Also notice the adjacent railroad bridge, visible in both photos. The only main difference today, beside all of the skyscrapers, is the lack of the historic light poles. 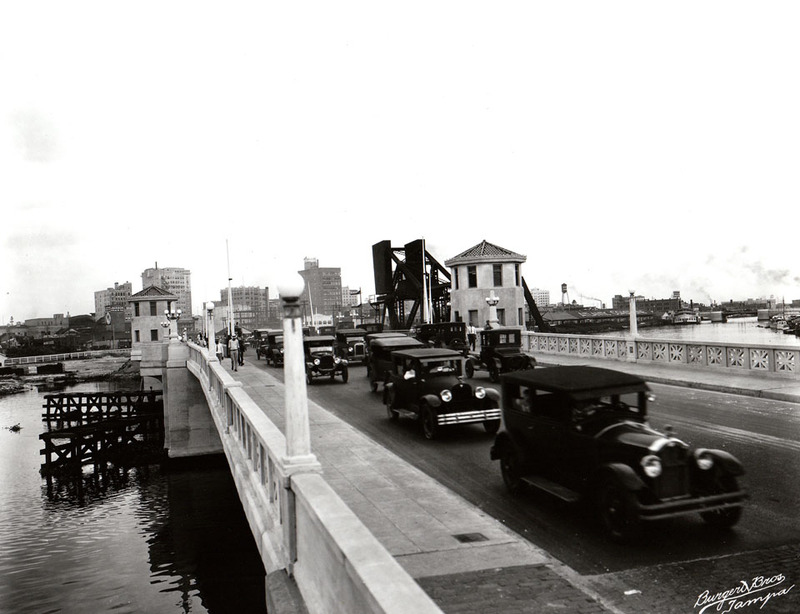 I always wonder when the city is going to dismantle that old train drawbridge. I have mixed feelings about it. It looks so awful but it’s such a piece of history. May they should haul it off and make an exhibit of it at the Tampa Bay History Museum! This is a tough one. I’ve tried it. Somehow the Burgert Bros. got a whole lot further out from the bridge (as well as higher than standing on the present railing allows). Never managed to grab a current image that overlaid satisfactorily. lol…did manage to get a stern warning from Tampa’s finest though. Notice how wide the river use to be. Did the damn built up river and the construction of the bypass canal contribute to a narrower river?